Below is a sample of an annotated bibliography. An annotated bibliography is basically a list of sources or references, which should be in alphabetical order, followed by a brief summary of the source and the information obtained from it. Johns, M. L. (2013). Breaking the glass ceiling: Structural, cultural, and organizational barriers preventing women from achieving senior and executive positions. Perspectives in Health Information Management / AHIMA, American Health Information Management Association, 10. The “glass ceiling” that this study refers to, as many know, refers to the idea that women often cannot get past a certain point in terms of hiring and promotion due to sexism. The article refers to the fact that a Congressional commission was created in 1991 to look at what precisely is happening or not happening that is leading to this happenstance affecting so many women. The study was done because sexism has persisted and continues to do so to at least some degree. The main conclusion drawn by this article is that even when top management of certain firms have a progressive viewpoint on hiring and promotion of women, this does not always “trickle through” to the lower layers of the company. A unique idea to retain and take to heart is that proper education about diversity and other topics are a primary means to combat this behavior and mindset. Even with the persisting problems that exist, another important takeaway is that some industries are rife with success stories of women who have broken through the glass ceiling just due to their sheer number and prevalence in the applicable industry. One such industry is healthcare and the article specifically mentions that as an example. Miguel, A. & Kim, M. (2015). Successful Latina scientists and engineers: Their lived mentoring experiences and career development. Journal of Career Development, 42(2), 133-148. The key concepts of the article are that racial minorities and women both make a rather stark minority of STEM graduates and employees. Further, this study looks at a specific subset, that being Latinas that are looking into and/or that are in engineering and precisely makes things click and thrive for those sorts of people. The primary conclusion drawn is that while there are challenges and “impediments” to Latina engineers or those that aspire to be the same, there is a pattern and blueprint in place for those that wish to take that path. A telling statement and takeaway from the article is that only five percent of all engineering majors are minority women, which would obviously include Latina women. Only about nine percent of people majoring in biological sciences are minority women. This is despite the fact that the Latino/Latina population is growing at a very fast clip and this will continue to occur in the coming years and decades. Specific statements and facts to maintain is that mentoring is huge and it is best done when it is other Latina women (or male Latinos) that are doing the mentoring due to the shared perspective and struggles that the mentor and mentees would have. Even so, it is important that the proper mentoring models are used and employed and the article covers that as well. Moakler, M. & Kim, M. M. (2014). College major choice in STEM: Revisiting confidence and demographic factors. Career Development Quarterly, 62, 128-143. The key concept that is explored in this article is major choice as it relates to people that are exploring one or more potential careers in the STEM realm. Of course, STEM is short for science, technology, engineering and mathematics. The populations and demographics that are explored as part of the analysis include gender, minority status and parental occupation. The main findings of the article include that people with higher confidence and self-efficacy when it comes to mathematics are much more likely to choose a STEM major. One thing that should absolutely be noted and retained is that whites and Asians (the stereotypical/presumed races when it comes to engineers et al in the eyes of many) are just as likely as African-Americans and Latinos/Latinas to choose STEM majors. The takeaway is that facts like this should dictate policy, plans and strategy when it comes to recruiting students, minority students in particular. This research and its results were confirmed through a systematic logistic regression. Of course, the other side of the proverbial “coin” mentioned above is that many minority students come from problematic backgrounds when it comes to mathematical and similar adeptness and thus their chance of success is much lower than it is for other students that aspire to STEM fields. Also important to note is that women were much less likely to choose a STEM major, for whatever reason. It could simply be preference but societal norms and STEM-related traits and stereotypes might also be an issue. "Annotated Bibliography Sample." Aceyourpaper.com. Student Network Resources Inc, 8 October. 2017. Web. 20 April 2019. Student Network Resources Inc. "Annotated Bibliography Sample." Aceyourpaper.com. https://www.aceyourpaper.com/documents/annotated-bibliography-sample/ (accessed April 20, 2019). 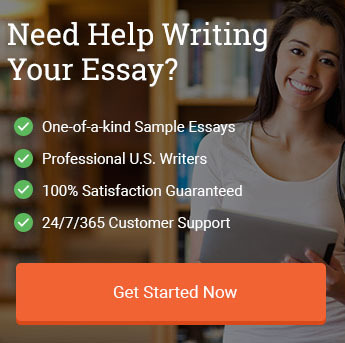 How can I write an essay about why education is important?